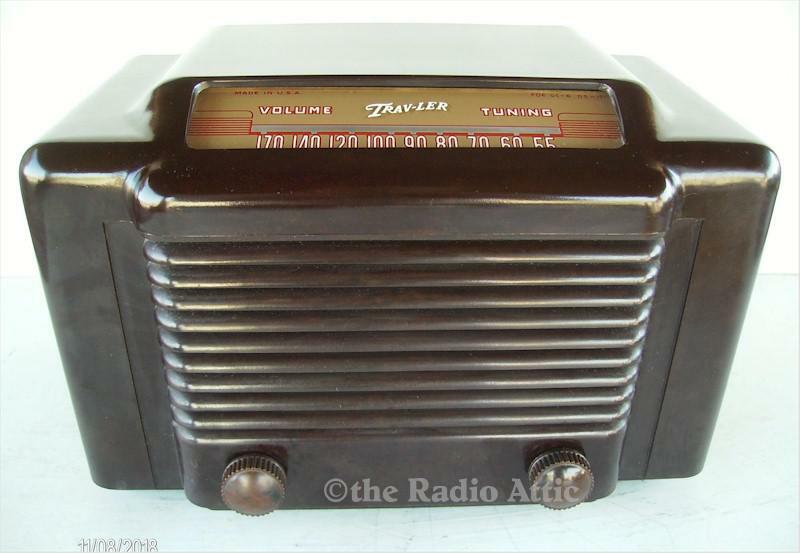 This 1948 Trav-Ler is a nice example of postwar radio design. the cabinet is in excellent condition with no cracks or chips. The reverse painted glass dial is very nice with no damage. The set retains the original knobs and back. It has been serviced and plays great. 10"W x 6-1/2"H x 6"D.